Orbit Software's BusBoss transportation management system helps ensure that every kid gets home safely. Our school bus routing software and GPS tracking solution is accurate and easy to use. School Administrators have many stakeholders to satisfy including; parents, transportation managers, district IT professionals, and certainly not least, the students themselves. BusBoss can make this job a little easier, with great reporting and business intelligence that will help you expedite smarter decision making for safe and efficient routing. Identify your school bus transportation department's strengths and weaknesses with a key set of metrics, and then use that information to create a more efficient and cost-effective strategy. 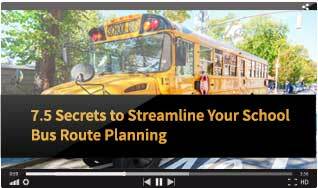 Why spend six months implementing school bus routing software? Start seeing benefits sooner with our quick-start professionally managed program. 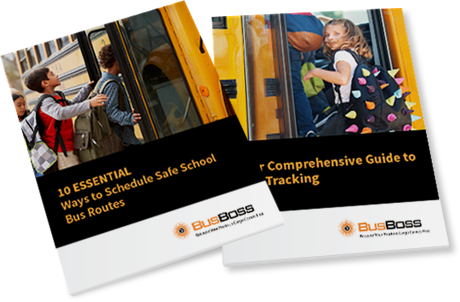 Ensure you have all the critical school bus transportation tracking and routing information you need in one easy-to-read format. The BusBoss Fleet Optimization tool automatically generates optimal routes, for individual schools or combined schools, while adhering to user defined selected load counts, bell times and travel constraints. With BusBoss’ school bus route planner, you get graphic displays of bus stops and house locations using integrated GIS maps with satellite view underlays. Our A+ Software Checkpoints program ensures BusBoss is wholly invested in providing you with the most comprehensive and feature-rich transportation management solutions. The SuccessRoute Training program helps you learn, optimize and get the most out of your transportation management software investment.